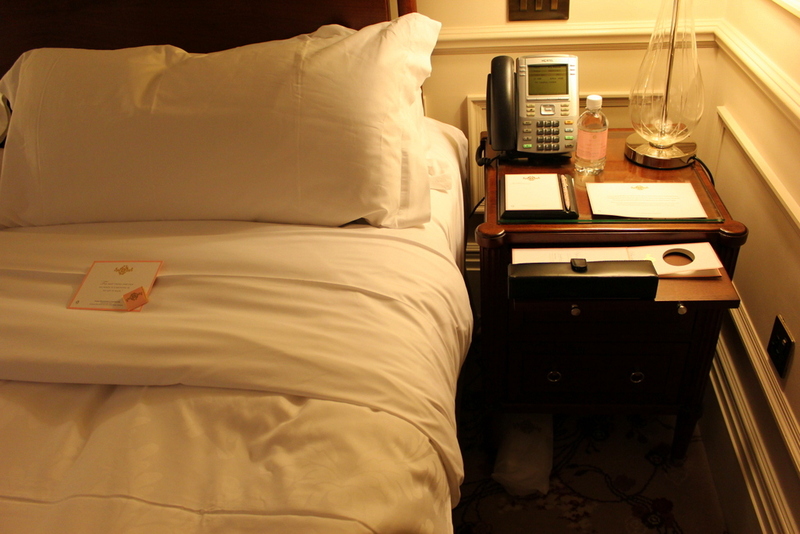 For a few years now, I’ve been wanting to stay at The Langham London. 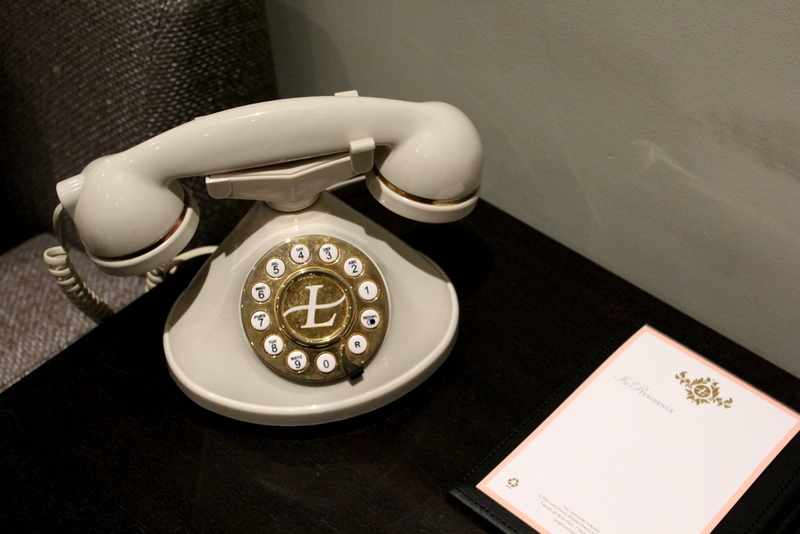 If you are obsessed with hotels, you will know that The Langham London is a pioneer in British hospitality. 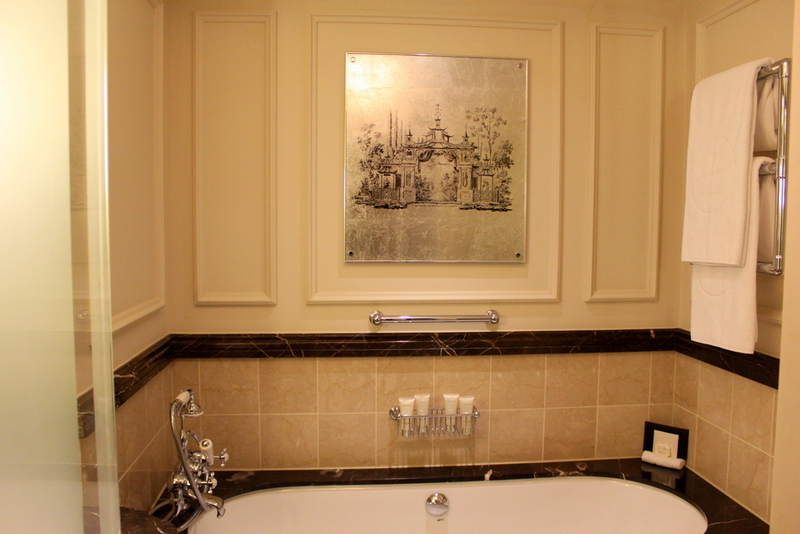 With over 140 years history , this first Langham in the world opened in 1865. 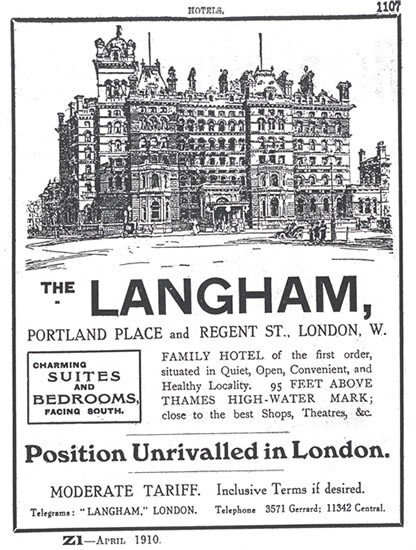 This was the original ad for The Langham in April 1910. 104 years later, the tag line “Position Unrivalled in London” still stands true. And the Oxford Circus station is probably a minute away. 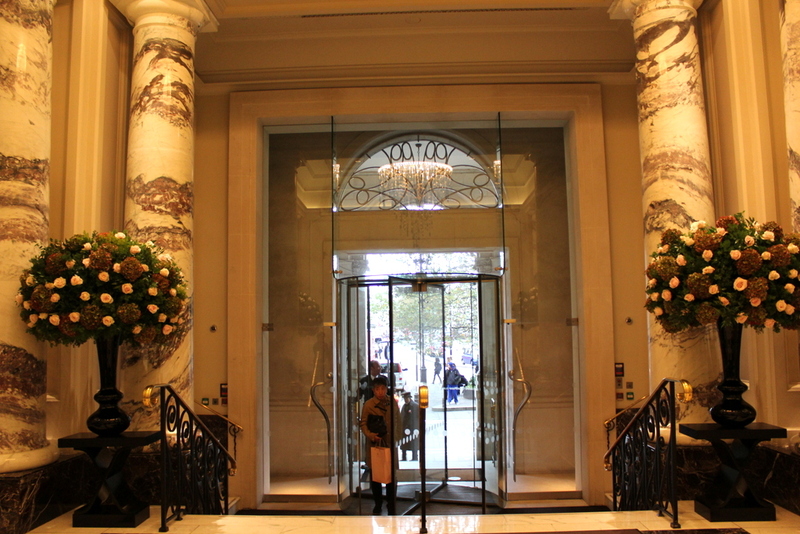 It was a joy to commute and walk around London using The Langham London as base. 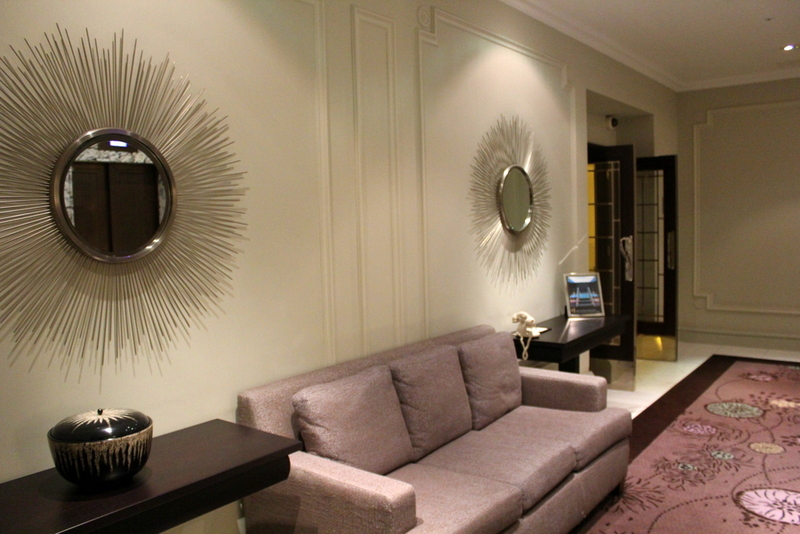 The Langham proves not only to be an excellent base in London but quite the luxurious home too. 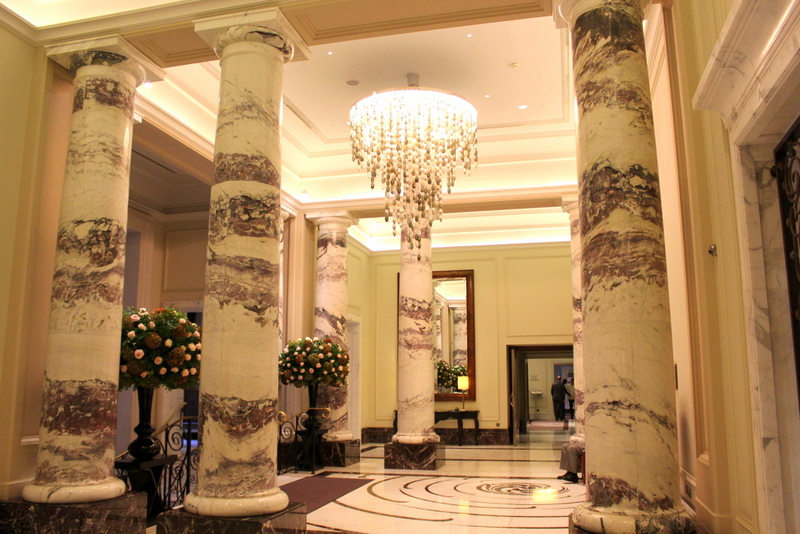 Tall columns, grey and white marbling with a slightly modern chandelier – The Langham may be one of the classic 5 star luxury hotels in London but the style is not over the top, as most ‘classic’ ones can be. We were checked in a Grand Junior Suite. While the size is not particularly massive, the room is spacious especially for European standards. And here we see the faint touches of pink that The Langham so effortlessly does. The colour harmony of the room blends really well. Maroons, gold, salmon and whites. And very little dark wood, which I liked. Mornings were really pleasant. I’m not a morning person any given day but I didn’t find it hard to wake up at 6 AM daily. My sole comment would be the bed- it was extremely plush and soft, I felt like I was sinking in clouds. It probably works for some but it’s just a personal preference of mine to have a firm mattress. 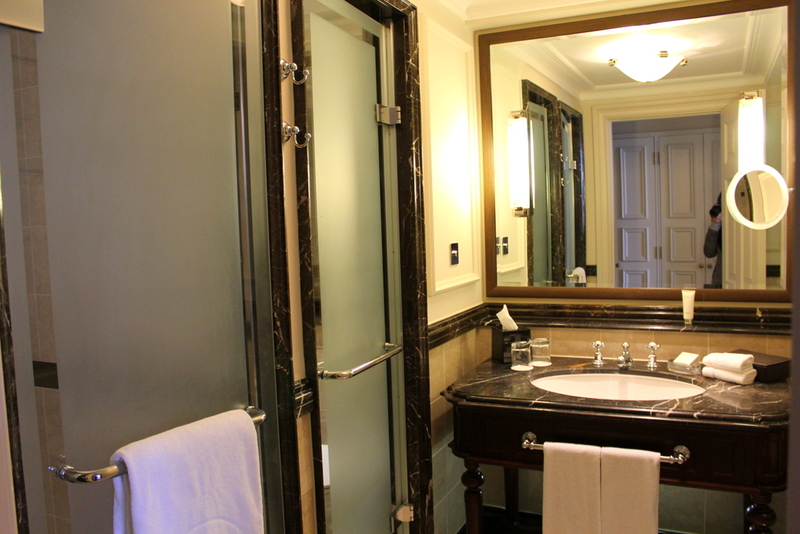 The bathroom was quite compact (but not cramped) and had a separate area for toilet, shower and bath tub. I love the silver touches — again accents that go well with that salmon Langham pink. Wi-Fi is complimentary, but premium speed access is purchased (which I never needed). 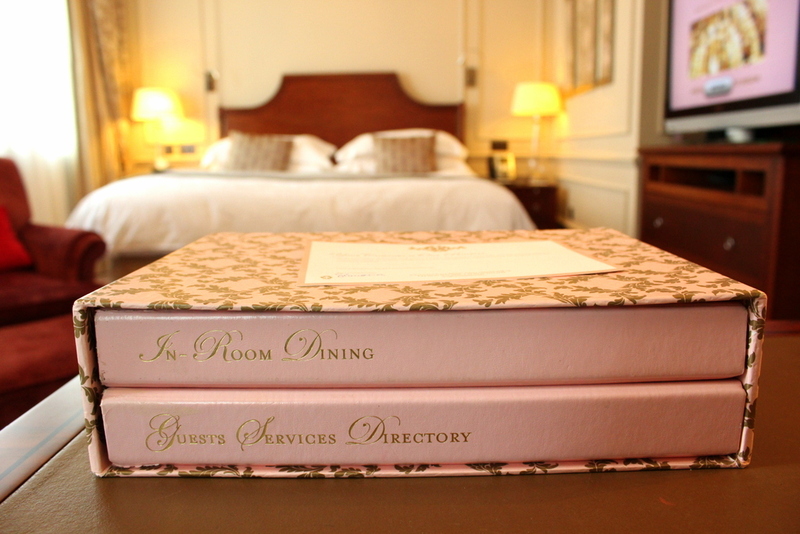 I also love the book of services directory and in-room dining. 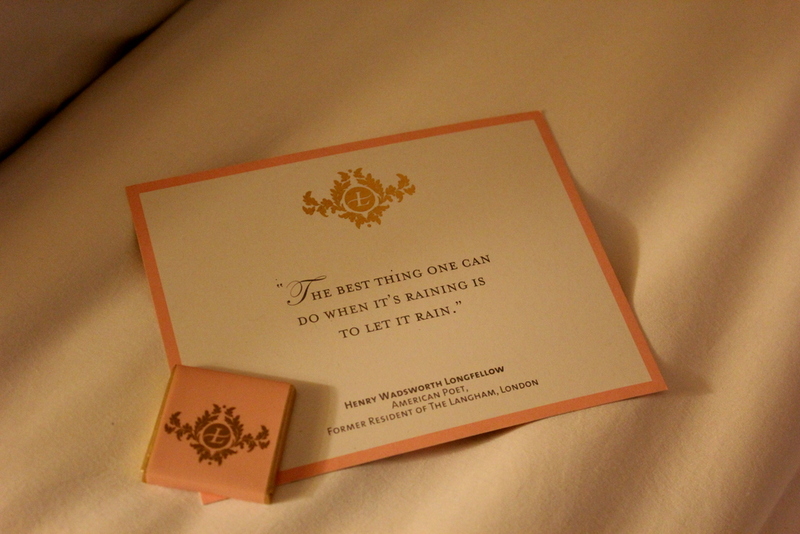 Again the signature touch of pink, which the Langham does ever so subtly that it’s not overpowering. Breakfasts are held at The Palm Court, the central area of the hotel – deemed to be one of the best places for afternoon high tea in London. 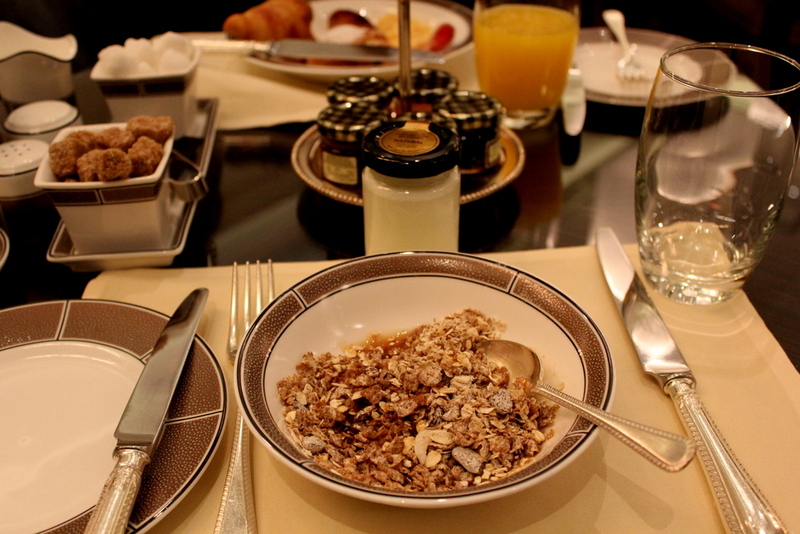 They have a great selection of hot and continental breakfasts, and options to order ala carte. I also loved that they have a wide selection of non-flavoured yogurts. The food and beverage service is very attentive – they refill drinks immediately without us needing to ask, and always asked how we found our breakfast. A great and pleasant way to start your day! 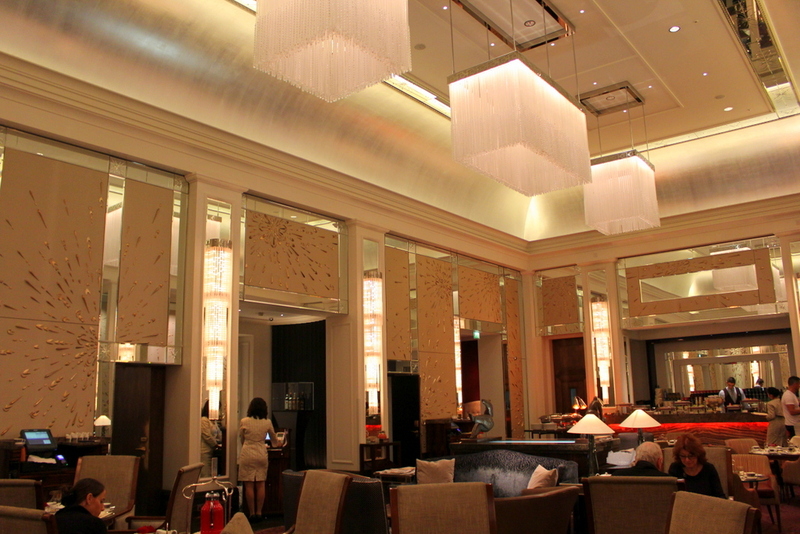 Due to it’s prime location, I noticed a lot of business / corporate travellers staying at the hotel and having breakfast meetings at The Langham London as well. And if you are a history buff, it might thrill you to know that Henry Wadsworth Longfellow (poet), Toscaini (composer) and the creator of Sherlock Holmes, Sir Arthur Conan Doyle have all stayed here, among other notable guests. 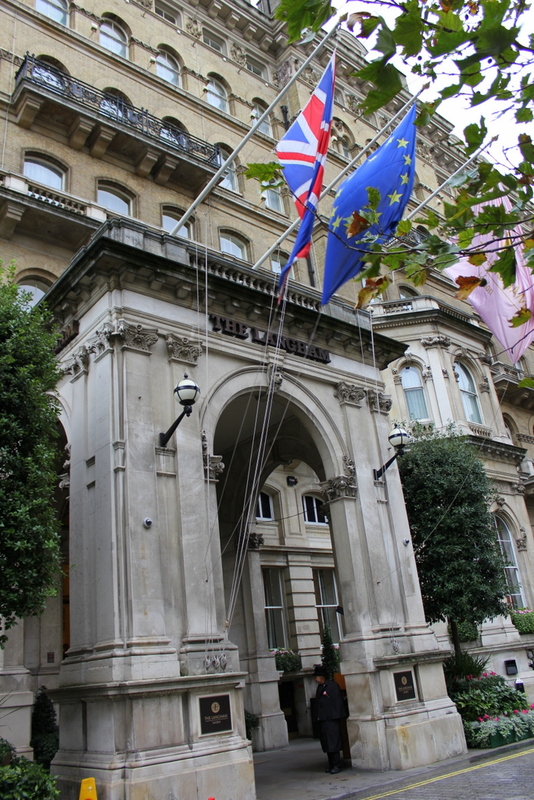 And for contemporary history, the late Princess of Wales, Diana have stayed here, along with Sir Elton John, Rod Stewart, Richard Gere and Cindy Crawford have been guests of The Langham London. 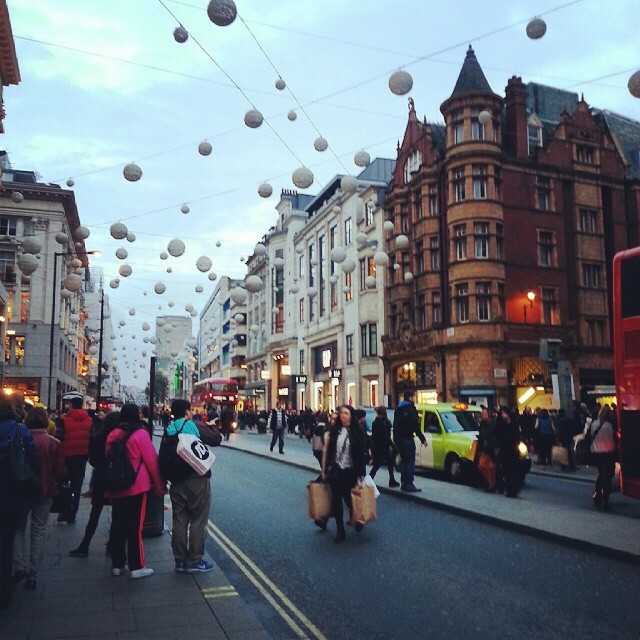 Whether you are in London for business or pleasure (hello, shopping!) 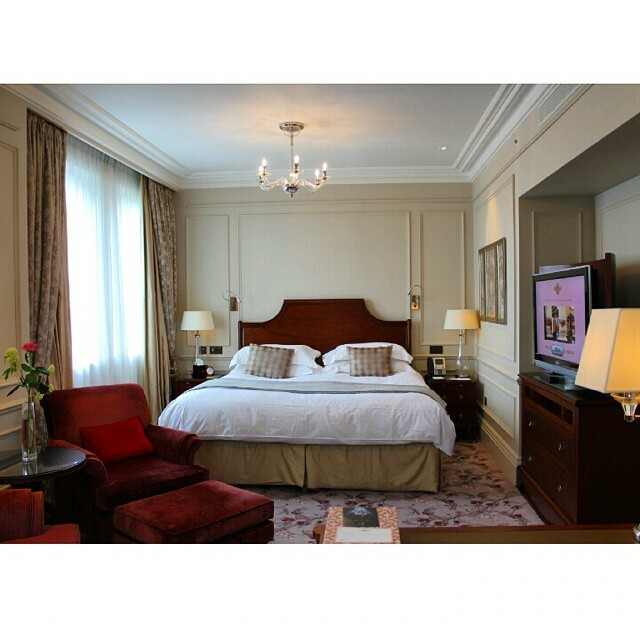 your goals will be exceedingly met at The Langham London. 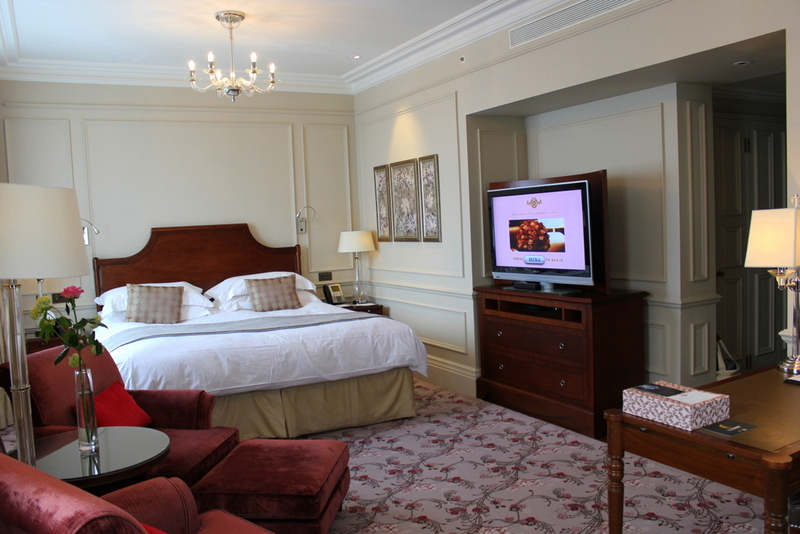 Do you prefer staying at hotels with a grand history or prefer brand new ones? I was a guest of The Langham London, but this has not swayed or influenced my review. Thank you Kelly 🙂 I hope you get another opportunity to stay! Yes, I’ve heard and seen that afternoon tea is great, sadly I didn’t get the time on this trip.